Brent, you must have several armies by now. 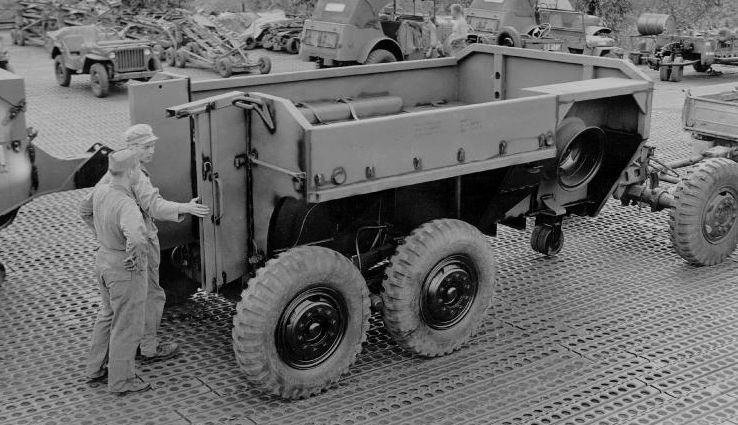 You are producing AFVs like there is no tomorrow Looking forward to see the half tracks finished. The Panthers definitely look awesome, so I am sure these will look great as well. Victor, great improvements on the PzH 2000. The additions really adds some nice details. John, cool choice. Consider a multicolor desert camo. The large broad sides are screaming out for it. Is it OK to enter a wood model here? In theory it still modelling. What is it and how far along are you with it? It is a 3/8" - 1' scale, wood, Midwest kit #965 of a Chesapeake Bay Flattie. It was started by a 90 year old friend of mine, but not finished before he passed away. The keel, bulkheads and main deck are assembled, but much needs to be done to complete it. Midwest provided the second page of plans as they were missing. Interesting little kit. I like working in wood, maybe because I was a carpenter/builder most of my life. Hope this is suitable for this campaign. Photo above from the recent Allied-Axis Publication. Added some small details to the rear wall. I finally finished Sturm Panther. I started this kit in 2013. Hope you like it and "watch those negative waves"
I will see if I can figure out a way to tone that down a bit. Reminds what my dirt bike looked like after a weekend outing. Oh I am open to any suggestions. 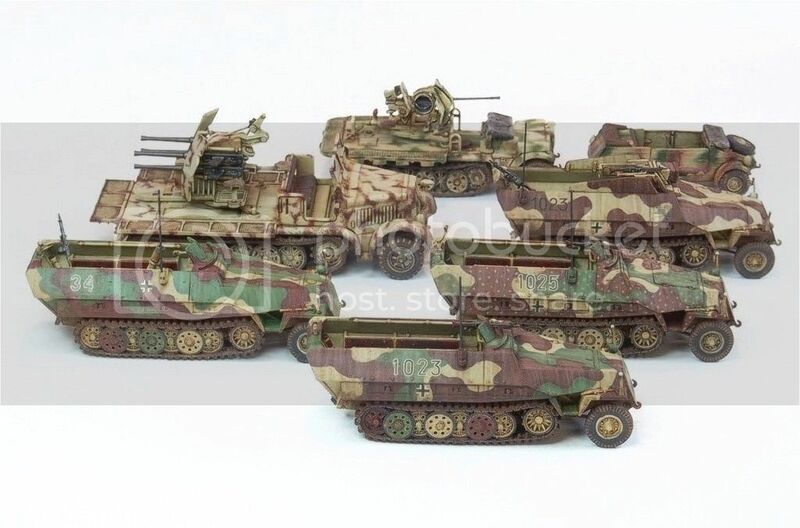 I used Vallejo AFV weathering system with #104 Pigment well dispersed in #233 Pigment Binder. I thought for sure I just sprinkled a wee bit into it. I guess a little goes a long way. 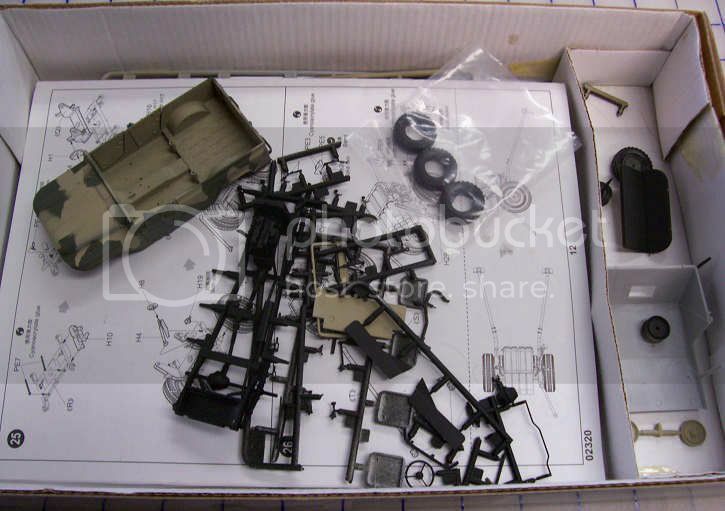 I think I might switch to trying to finish my CMK 35t kit. EJ - that's a really neat choice to finish, a ship and wood, wow you can't get further away from the norm here than that! Can't wait to see it progress. Good to see the work on the trailer and Sturm Panther too. And I'm calling these halftrack boys done, my first round of unfinished stuff completed. I'm taking a few individual pic today and will post em up in a separate "braille" thread at some stage. Hey Robbie, did you seal/varnish the gun before applying the pigments? I'm not sure about removing the pigments with the binder, that might be the tricky part. You could strip the whole gun, might be the easiest way? I made a similar mistake on my M-8 Greyhound for the Armored Car campaign. I just marked it off to "experience" and continued on without worrying about it. To tell you the truth, your model doesn't look bad. I imagine there could situations where it might have looked like that in real life. Another option-add foliage to cover some of the gun shield. Good luck. OK lets see if I got this right. I started this kit 15 years ago but between new kids and being at sea alot, I didn't spend much time with it. This was the first time that I worked with tracks and I royally screwed them up. With this frustration I put it away for roughly 10 years. To finally complete this build, I have new tracks and a new PE set to replace parts that were lost over the years. Hey Ron, I've got more than a few which have sat around for that long. Should make a nice build with the extras you've got now . . . I like the look of your kits. Which colors did you use? I brush paint with GW acrylics over an enamel primer/base. All the colours are mixed by eye to suit as I paint I'm afraid, so sorry can't help much with exact ratios . . . 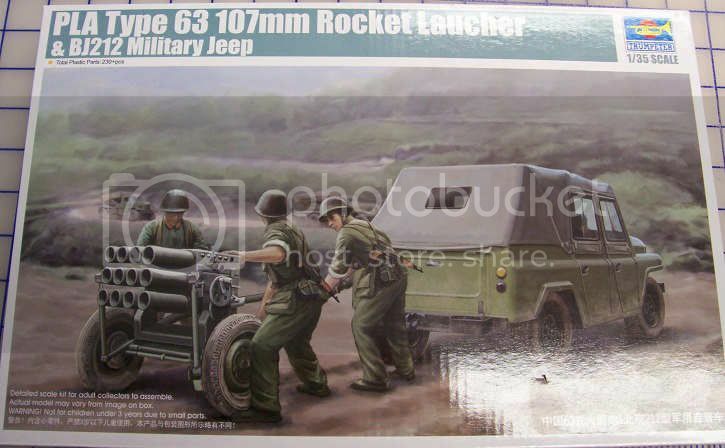 I decided to start this one with Trumpeter's PLA Type 63 107mm Rocket Launcher & BJ212 Military Jeep. I used the rocket launcher for the Active Duty Campaign so I'll be finishing the vehicle. I put it on hold because I was having second thoughts on the paint. I had planned on using it for a technical vehicle. I was thinking about giving it a roll-cage and mounting a weapon. After I catch up some on Market Garden I'll probably start on this one. I've got a stack of others that need finishing so I hope to do a few more as well. Well, after looking a bit closer, I discovered the transom/stern board and the main deck were mis-aligned, and there was a small "hump" in the deck where the keel board was. So, I cut the join, adjusted the positions and re glued it all. 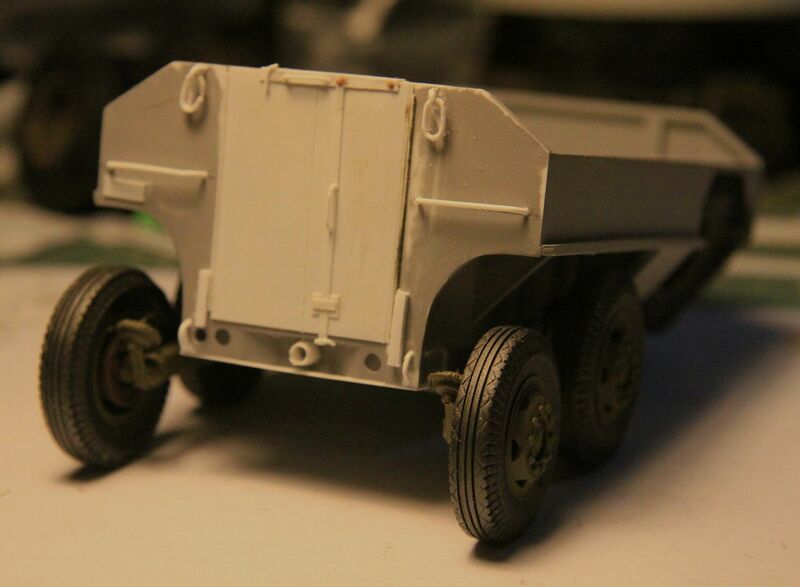 Next, started installing the chines. Put them in the soakers for a while, then glued the stern ends in place. While the glue set up, I soaked the panels for the sides of the cabin, then set them up in a jig to dry in the appropriate curve. I bent the chines to the notches in the bulkheads and glued them up. When the glue set, I cut the bow ends to fit and glued them in place. Then spent some time with a sanding block and "faired in" the chines, stern board, bow stiffeners, ready for planking. Next day, when the cabin walls were dry, I installed them, sanded them to fit and installed the cabin roof beam. Next will be the side hull planking and the bottom hull planking, and on to more detail work and a bit of filling. Well, I got my broadband sorted so I'm back! Eugene, that certainly is different. Never realised wood builders had to firm the shapes so much. Will be watching this with interest. Great to see so many other builds also moving along already......some great work, some really old work and some work in vast quantities on show. Keep it up and get 'em done this time around. Thank you. I really enjoy doing wood models. I find myself "scratchbuilding and kitbashing" most every plastic kit too, as a wood "kit" is mostly a package of materials, and you make most of the parts. As a retired carpenter, this comes naturally to me I guess. EJ! Chesapeake Bay Flattie! The first wood kit I ever built! (or maybe the second? Muscongus Bay Lobster Smack might have been the first) Must have been at least 30 years ago...I still use the box for storing raw materials for scratchbuilding. Anyone aspiring to get into wooden ship building should start with this kit or the lobster smack IMHO. It's making me want to pull out the wooden ship my wife picked up in one of my "this would be cool" moments (looking at one of the big ship of the line kits). She got one of the starter kits and the Bluejacket book. Alas, it sits on the shelf. Yes, I find doing a simple wood kit to be a routine breaker. I usually do aircraft carriers, having been a carrier guy serving aboard USS ESSEX in the 60's, but those things take me a year or more to finish. The little "woodies" break up the build for me. Yup, the Lobster Smack, Skiff, a Titanic Lifeboat, canoe's, all fun builds. Have Panart's Lancia Armala - 1803 Armored Launch in the stash, (from an estate sale)(all the instructions are in Italian) and looking forward to getting Model Expo's "Elsie", 1910 fishing schooner from Mark, a friend from this site.